Redshaw Advisors offer route-to-market services to meet all of your carbon trading and compliance procurement needs, wherever you are based. We pride ourselves on and our customers tell us that they appreciate our professional, friendly and efficient service, from client setup to execution. 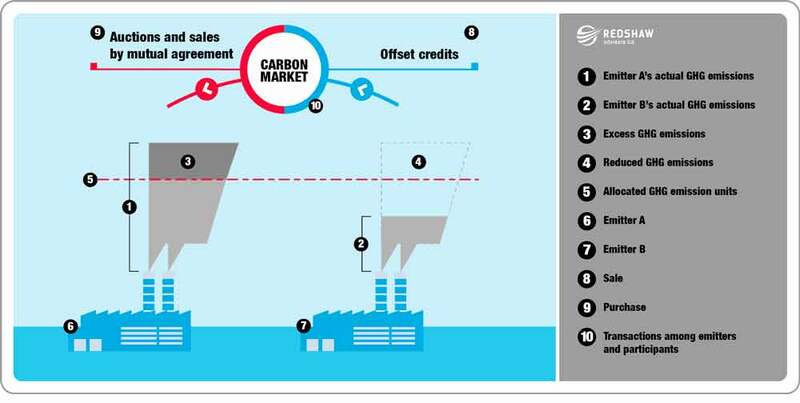 We want to make carbon trading simple for everyone, so we don’t have a minimum trade size. Our decades of carbon trading experience mean we are able to guide our customers on the timing of carbon trading to minimise costs as well as to ensure hassle free delivery in time for compliance. Beyond one-off carbon purchase or sales requirements we assist companies by designing and implementing carbon procurement strategies. These can be executed through us or your existing EUA trading partner. We differentiate ourselves with our unrivalled carbon market experience and, crucially, with the access we provide to independent price forecasts provided by leading carbon and commodity analysts Energy Aspects. We help our customers decide when to act, and unusually for a carbon broker, when not to act. To take the stress out of carbon trading and procurement, our prices are transparent and agreed upfront with no hidden costs or extras.